Welcome to Purgatory; a world where the dead relive their most despairing day alive, ignorant of their deaths. Under the harsh light of the Moon, these poor souls awaken to their truths and spend the night mourning their losses until the sun banishes them back into monotonous graves. Over and Over again this pattern continues until the day it doesn't; some people go to Heaven, others go to Hell, but no one stays in Purgatory forever... except Miles. 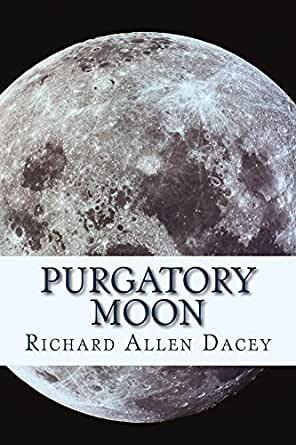 Two years after forfeiting his entry into Heaven, to stay in Purgatory with his adult children, Miles finds himself alone after both of his kids move on. Shortly after this prologue event, he begins to work as a therapist trying to help people break their Purgatory Loops. In an exchange for a crystal that temporarily awakens his clients to their truths, Miles becomes a Soul Shepherd. 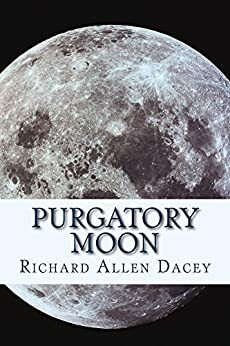 In the night, his soul leaves his body and travels to the Spirit World where he collects the souls of the recently departed and shepherds them to Purgatory. In the daytime, Miles begins working with clients who died of A.I.D.S in the early eighties and have been stuck in Purgatory ever since. With the help of the mysterious Reprievement Crystal, Judy Garland (an icon trapped in Purgatory), and a few angels, Miles searches for a way to bring hope to a despairing world. What a fun Book and easy read. Totally enjoyable and thought provoking! I don't read too many fantasy books but this one was well worth the read. It follows a character named Miles who is stuck in Purgatory forever. His job is to help people get to heaven. It covers a lot of issues in the LGBTQ history including AIDS and Stonewall, which is what drew me to this book since I love historical fiction. This book is different than others you will find. It has real people, and experiences that make you wonder about the universe and life itself. You will find yourself unable to put the book down, as you continue on your quest with this book.